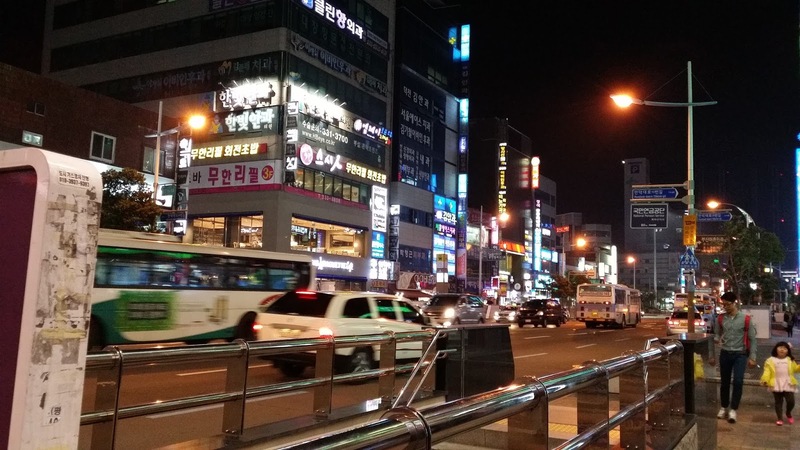 I have been living and working in Busan, South Korea for over a month. This realisation hit me last week when I saw posts on Facebook talking about the same thing that had been running over and over in my head. We did it...I did it… Shoo! I'm a South African teaching English in South Korea - yaaaas! Before we get cracking, lets lay some foundations. 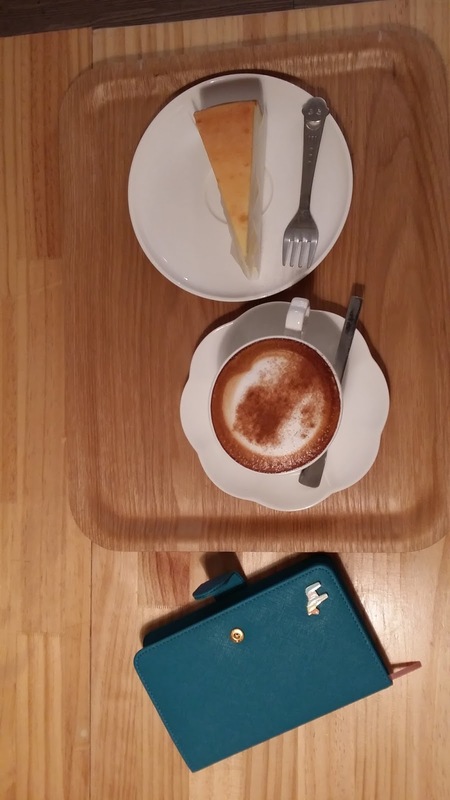 I began the Epik process in September 2013 and officially applied to teach English in South Korea by October. I won’t run through the whole process here as it was loooonnngggg and you can check it out yourself over here and here. I went through a South African based recruiter, Teach Korea. After heaps of paperwork, screening, a nerve-wrecking Skype interview, MORE paperwork, flight bookings and travel insurance, next thing you know, I am in Korea attending an orientation, eating new foods, meeting hoards of new English teachers from around the world, and fighting jet-lag. The most real moment came though when my co-teacher picked me up and I wasn't with everyone anymore... It was just me and my co-teacher. Me and my new life. I remember my co-teacher leaving me in my apartment after she had helped me figure out how I was going to survive my new life in the city. I stood there for a few seconds after she had left and realized, “Ok Nadia, you’re alone and in the city. A foreign city. You can cry and feel overwhelmed or you can sort your place (and your head) out.” So, while still feeling completely overwhelmed by everything, I chose to cracking with cleaning and moving into my new home. And I guess since then, I have tried to stay focused and just keep on moving. I was cleaning my place again this past weekend and I thought back to those first hours I was alone. I thought about how comfortable I feel at this very moment. How I have made friends, how I can now take the subway and not panic that I may get lost. I'm ok being alone in my place and just getting on with it. I'm so grateful to God for blessing me with sincere co-workers and some very interesting children at my school that keep me active and giggling. I think I have been very fortunate with how things have started out and hopefully this continues into my second month! 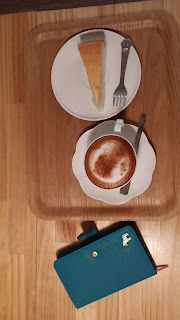 Now I would like to think that I am pretty observant, so, I have compiled a list of things that have intrigued me over the past month here in Korea. This hopefully gives you a glimpse into the life of an expat in Southeast Asia. It is so cold in winter! 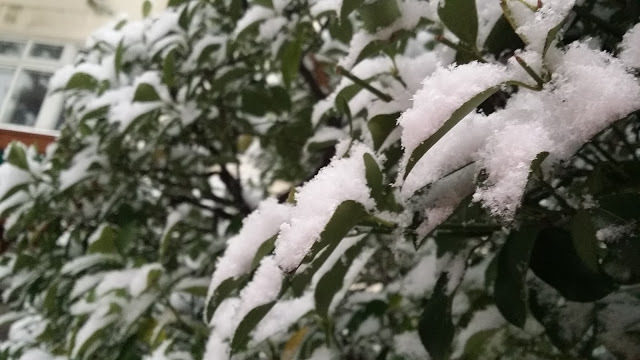 Coming from South Africa, Kwa-Zulu Natal, I found myself wearing four layers of clothing each time I went outside because Korea gets cold man! Yoh! I was streaming Busan English Radio the other day and I was horrified to hear the anchor say: "And today in your weather... Busan will have a high of 12 degrees Celsius and a low of 0 degrees Celsius...". I was like, "Excuse me, come again?!" So yes, I am slowly dealing with the frosty temperatures, dry legs and icy classrooms. Bowing in Korea: I think the act of bowing when you greet people here in Korea is great! I generally bow to those that are older than me (that is generally everyone at my school lol) and I even bow at my kids, when they greet me! I think they think I'm strange :) I find it wonderfully respectful, and it reminds me of my home town and how I was raised to respect people older than you. So yeah, rock on Korea! 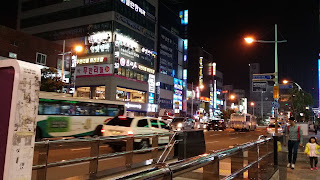 Public Transport in Busan, South Korea: the trains, buses, taxis etc. in this country are fantastic! I love being able to hop onto a train alone, arriving safely and quickly at the opposite end of the city. I feel independent and this is a vast change from the transport system back home in South Africa. There are four train lines in Busan: 1- Orange line, 2- Green line, 3- Brown line and 4- Blue line. There is also the Busan Gimhae Light Rail Transit line (purple line). I pay around R12. 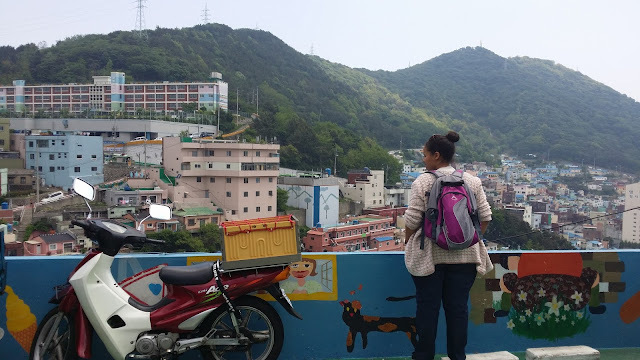 Each day I take the green line and leave my area of Deokcheon to travel one stop to school (yes, I'm being lazy, but the trains for now are still exciting for me!). 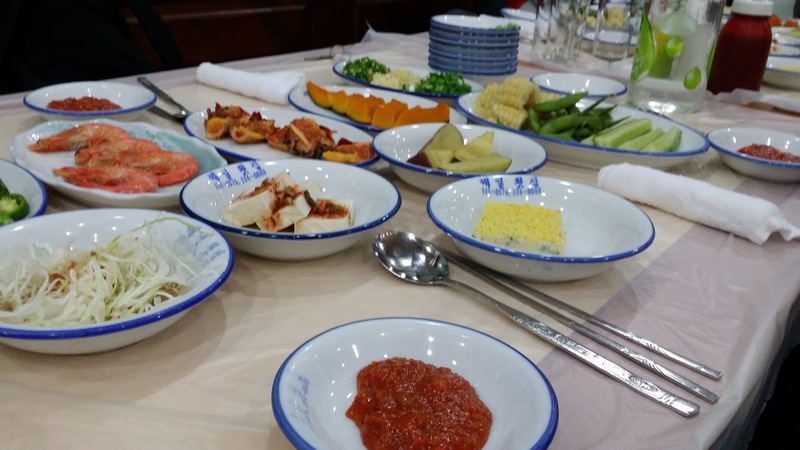 Korean food is.... AMAZE! Sometimes I look at something edible and wonder, “what in the world is that?” but once I take a bite/slurp/lick or whiff of the food, I am generally very happy with the outcome. I have yet to be disappointed! Buying groceries is always an adventure; I sometimes stand by the dairy isle trying to figure out where the butter is? Or how do I ask for brown bread from the cashier, who is watching me with the same interest as that of a kid looking in on a lion at the zoo? Buying groceries was the easiest thing for me back in South Africa, now I have to really consider what I need, and how I plan to get it. Veggies and fruit are slightly expensive, so I try to buy them from street vendors because the quality is really good and the prices are much better. ALSO there is something cool about supporting local traders and trying to use your beginner language skills to make conversation. Being stared at in Korea: People, young and old will stare at you. Why? Well because you are different. You have a different skin and hair colour, hair texture and you stick out in a country that is quite homogenous. I think people stare mainly out of interest. I usually just smile and greet in Korean or sometimes I even wave. Take it all in I say! Well, that’s it for now! If you have any questions, comments or observations, please feel free to contact me or comment below. So glad to have met you, darling. Thank you, thank you, thank you for letting us take this journey with you!